Our visitors are truly the central part of this family farm and what we do as farmers. From humble beginnings of a pick your own pumpkin patch in 1993, on farm seasonal events have become a big part of what we do at Shamrock Farm. We would like to send a heartfelt 'thank you' to each and every one of our amazing customers for their tremendous support over the last 25 years. This farm wouldn't be possible without our community! We are truly thankful for your support, and grateful to be living and sharing our dream, and authentic working farm, with every one of you. Hope to see you on the farm soon! Below is a list of all the events we offer yearly. See descriptions below for more details and we look forward to having you on our farm! 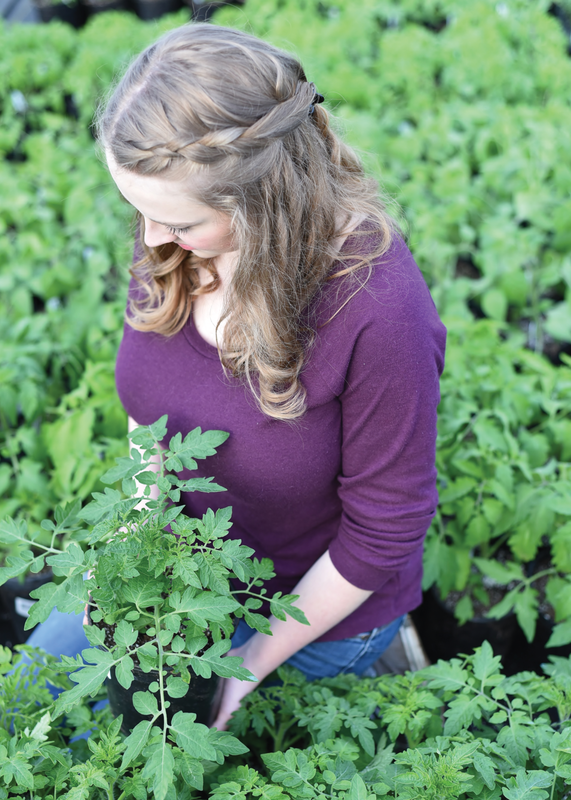 Plant a taste of history this season with Shamrock Farm’s heirloom tomato plants. Cherry, beefsteak, and Roma seedlings are just a few of the 28 varieties available at the three-day plant sale, Mother’s Day weekend. Heirloom seeds are passed down from gardener to gardener. Each variety is unique in colour, appearance and taste, often sweeter than those found in grocery stores. Shades of red, yellow, orange, and green tomatoes will bring colour to the garden and the kitchen this summer. Sown in Shamrock Farm’s greenhouse, all plants are non-GMO and labelled with the seed variety and history; heirloom, heritage, open-pollinated, or hybrid. Shamrock Farm sources seeds from local savers, Vancouver Island farms, West Coast Seeds, Bakers Creek Heirlooms, and Johnny’s Seeds. With hundreds of vegetable plants to choose from, Shamrock Farm is the perfect place to start the growing season. 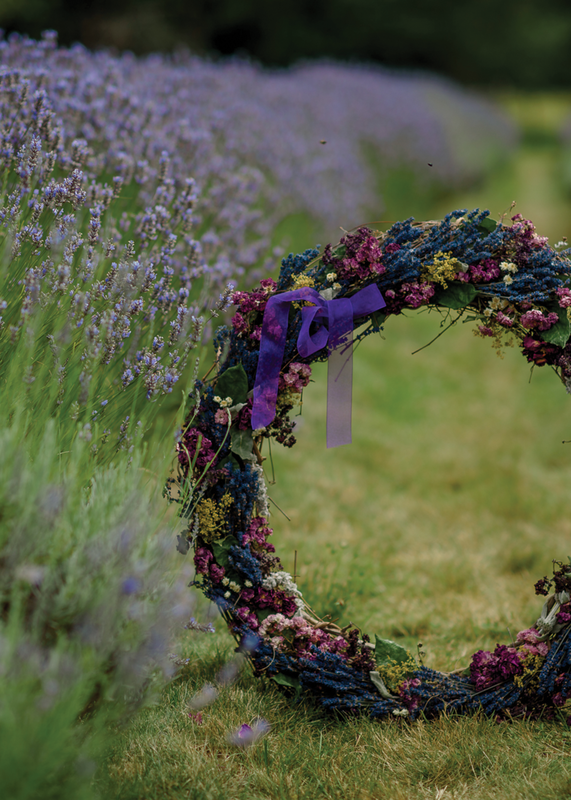 Escape to the lavender fields of the Comox Valley at Shamrock Farm’s Annual Lavender Harvest, in July. Wander amongst the blooms, cut your own bouquet, and meet the resident farm animals who call Shamrock Farm home. Don’t forget to bring a camera to capture the fields in all their purple glory. Visit the barn—bursting with hundreds of dried lavender bundles—and participate in a lavender distillation demonstration. The demos are scheduled throughout the day. The small-batch process uses low pressure and lavender flowers to produce the highest quality essential oil and hydrosol. Hydrosol is a combination of lavender oil and the water-soluble parts of the lavender plant. From field to farm to final product, Shamrock’s fragrant lavender is the key ingredient in their handmade skin and bath products, including essential oils, hydrosol, lip balms, salves, body creams, and goats milk soaps. The farm will also have varieties of French and English lavender plants available to take home. Lavender is drought tolerant and deer resistant, ideal for the Comox Valley. For those with a sweet tooth, light snacks and refreshments will be on hand, all lightly flavoured with lavender. Enjoy a glass of Shamrock Farm’s famous lavender lemonade, or lavender gelato and shortbread. The six-day event is open to all and admission to the farm is always free. Can't wait that long? Visit the online shop for all our lavender products. Hundreds of hours have gone into creating the family-favourite Haunted Barn! Elaborate displays of both real and animatronic pumpkins will be on display all month long… just don’t disturb the witch! We love Halloween and have spent years creating a display for your enjoyment. The Witches Brew Cafe and The Barn Loft are sights to see! Prepare to have a spooktacular time. If you are looking for a particular variety of pumpkin (cucurbita), we probably grow it. Our family planted thirty-nine pumpkin and squash varieties this year from white, red, and pink pumpkins, to deep green, black, and blue. Some pumpkins have green warts and some are wrinkled. We even have pumpkins fit for Cinderellas coach. Sizes range from one pound minis, to hefty 200-pounders. 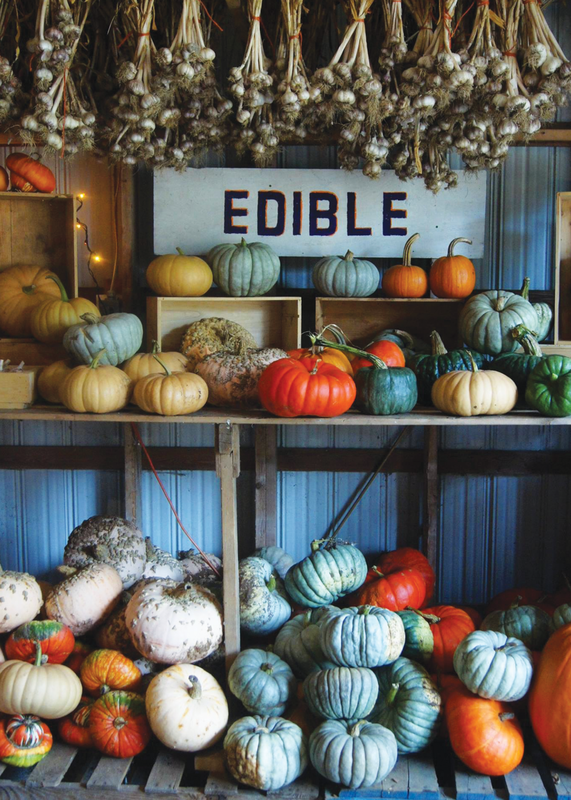 We have massive world record pumpkin varieties, little ornamentals, decorative gourds, carving pumpkins and some especially good for pumpkin pie. Many are heirloom varieties grown from saved seed. Visit early in the month for best pumpkin selection. Heirloom pumpkin varieties sell out fast. There is something magical about people gathering together in the Winter, in a barn. We’re excited about a new event we have planned coming up this December. Winter is when we slow down, grateful for the years bountiful harvest. We hope you can join us in a friendly, relaxed atmosphere, for Winter on the Farm. This is our gift, and thank you, to our community. We’ll offer a warm bon fire, and an up close encounter with our farm animals in the barn. Holiday greenery, farmhouse trays, and hand crafted farm products — will be available for purchase.